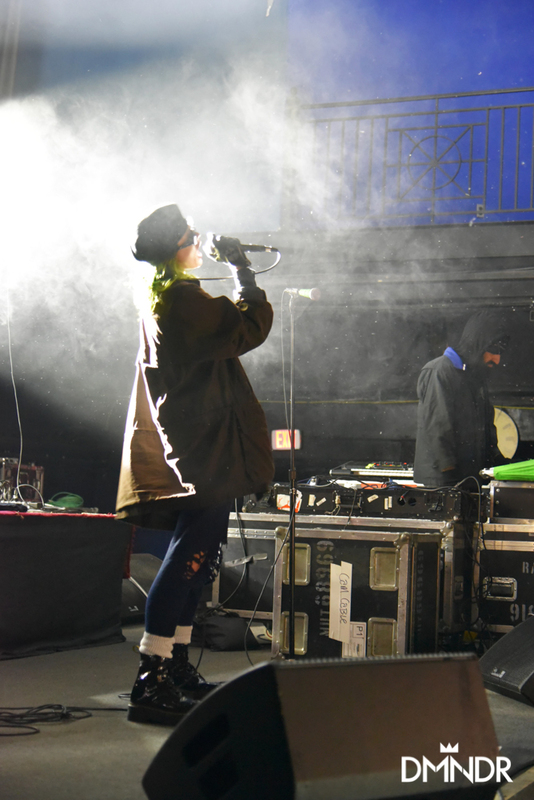 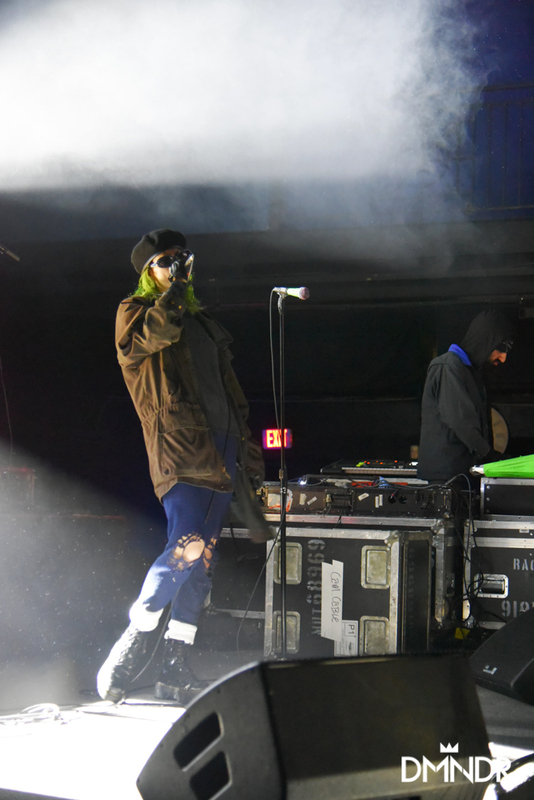 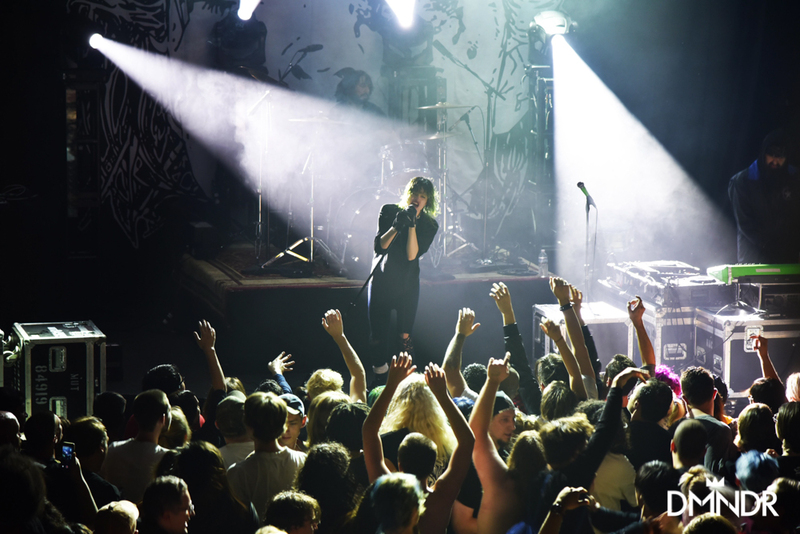 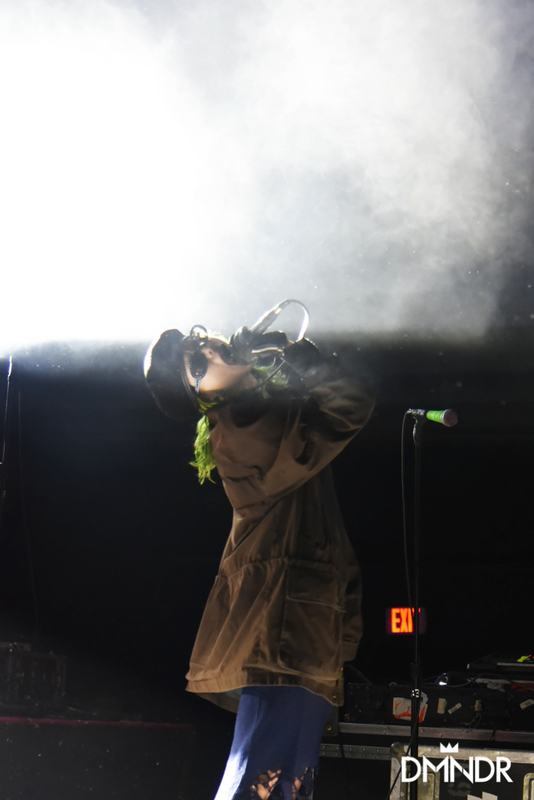 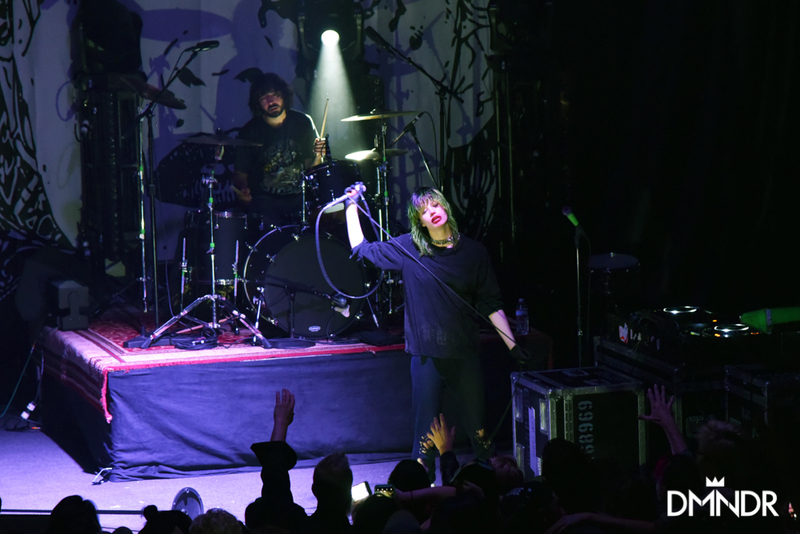 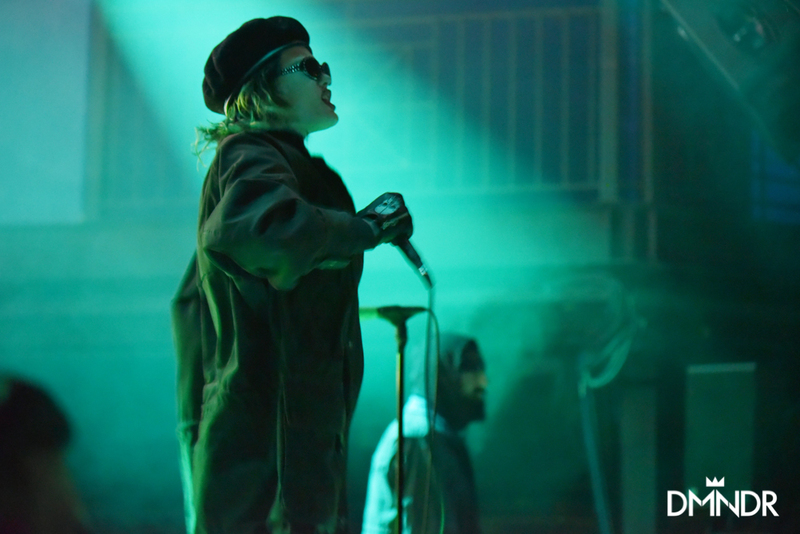 Edith Frances of Crystal Castles lit DC on fire Saturday night at 9:30 Club with her dynamic performance. 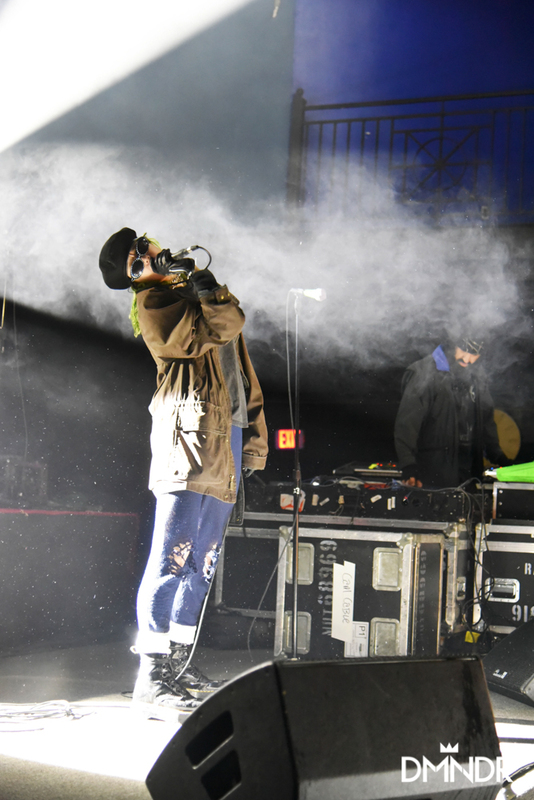 She brought the kind of heat that can only be followed by dousing the crowd with water – which she did, continuously. 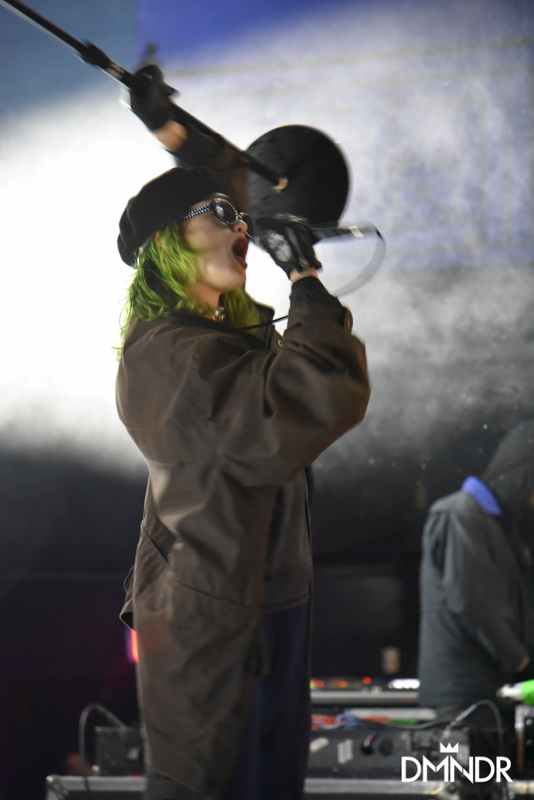 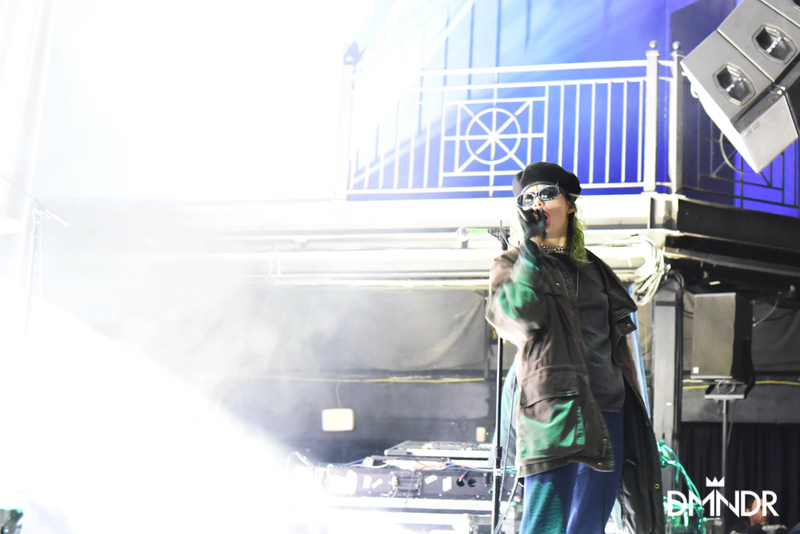 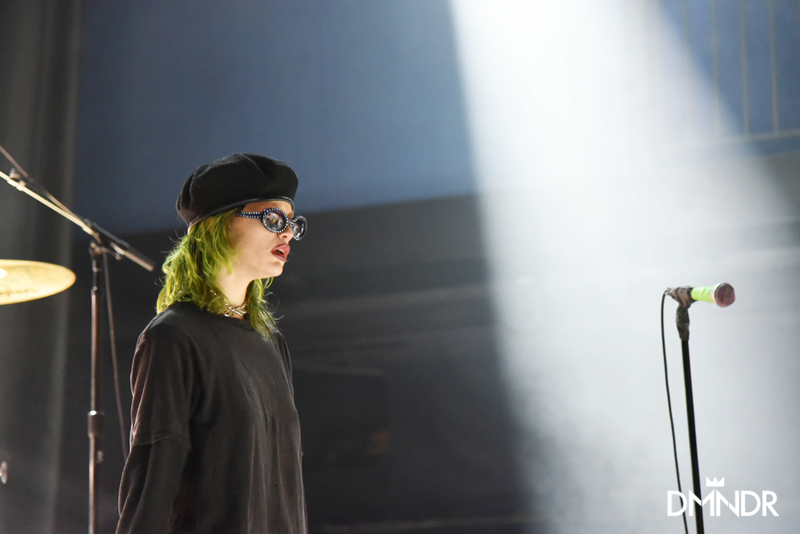 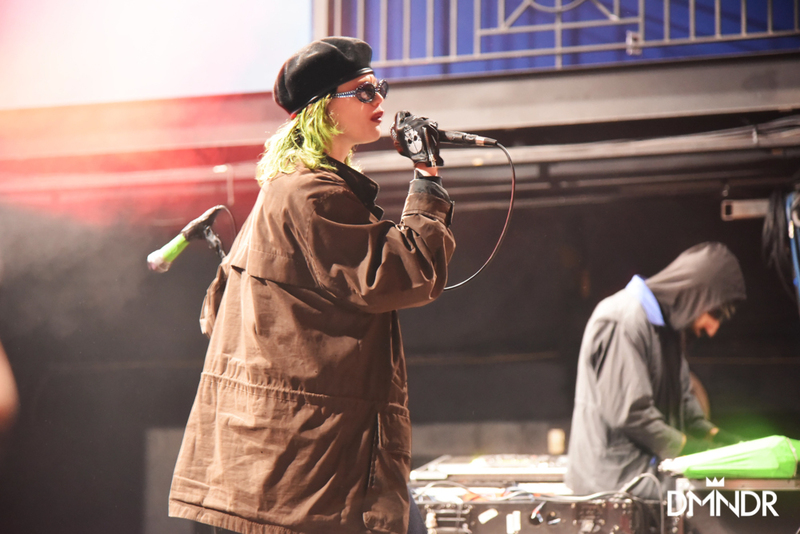 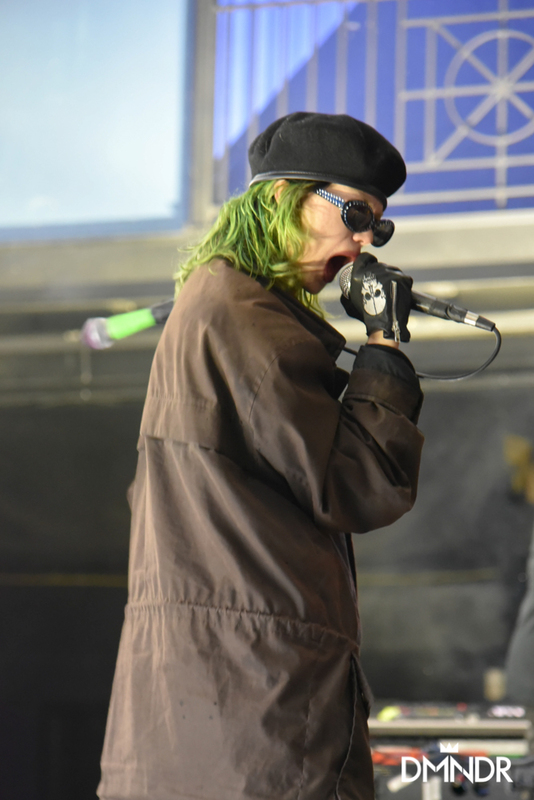 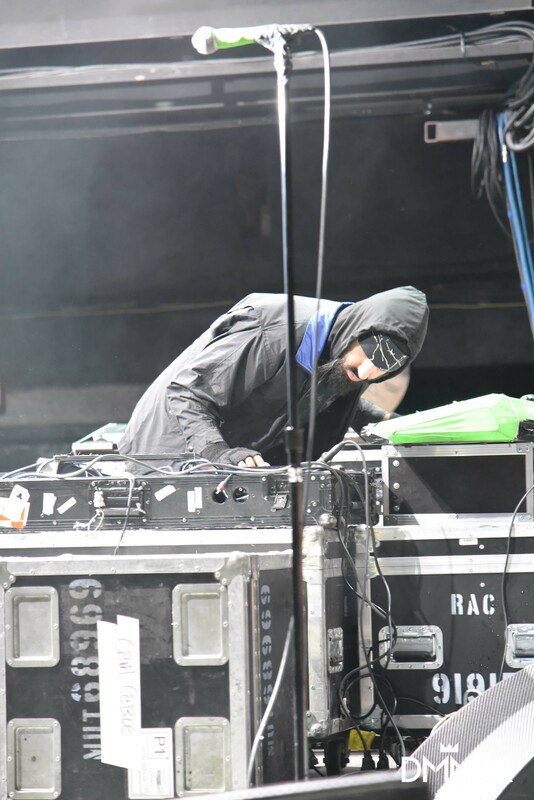 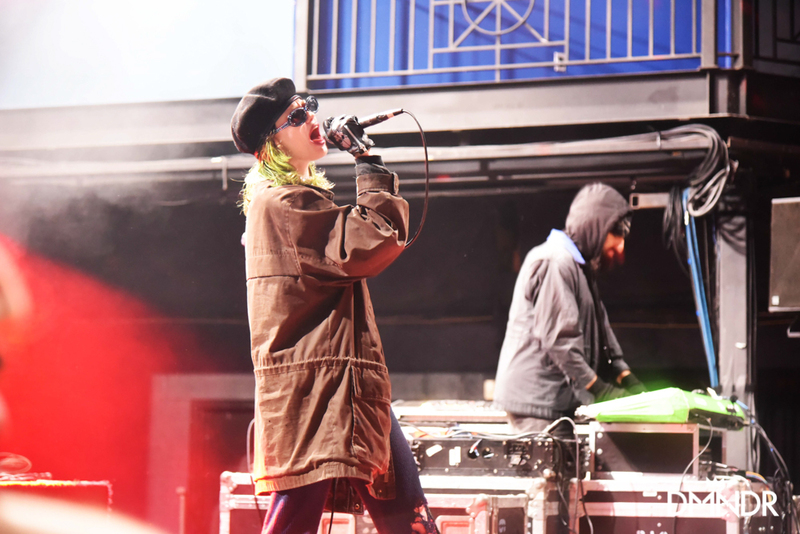 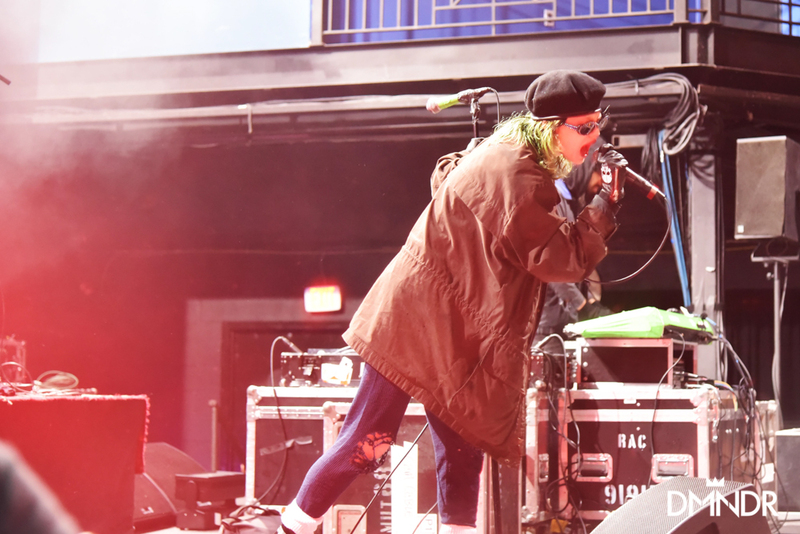 After all the drama that followed Ethan Kath’s decision to replace Alice Glass after her resignation from Crystal Castles, I had low expectations for the new frontwoman. 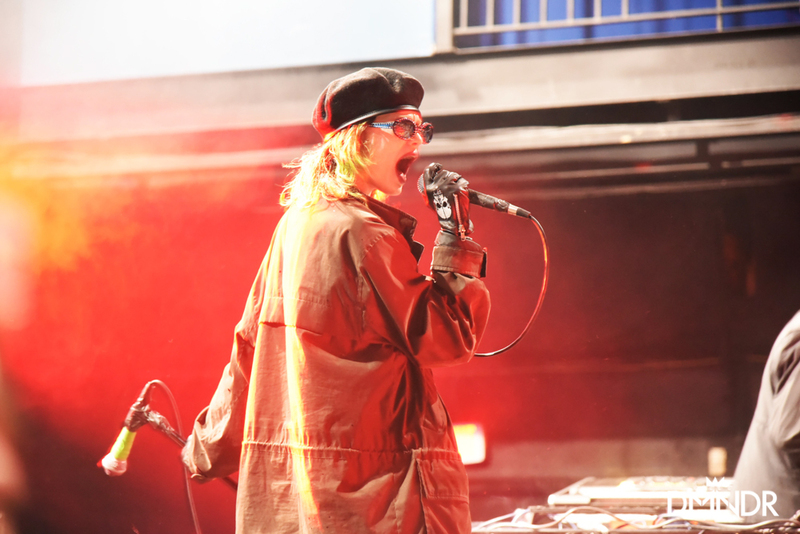 After all, she had large shoes to fill and devoted fans to win over. 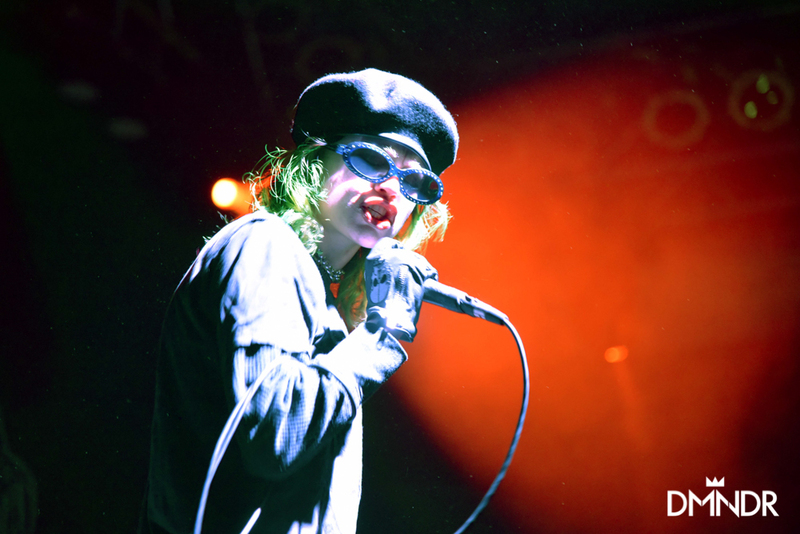 Frances proved not only capable of vocally continuing the original sound of the group but also capable of making a spectacle of herself on stage. 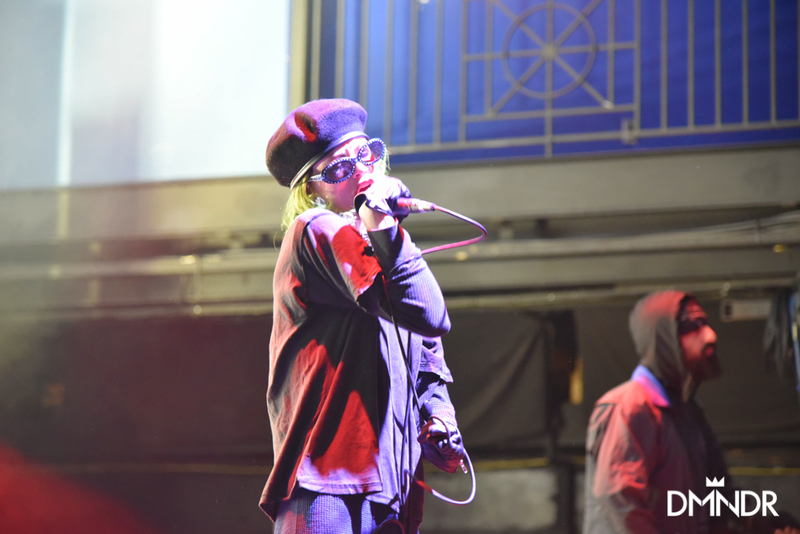 Her aggressive conviction and passion made it clear that Kath made the right decision.